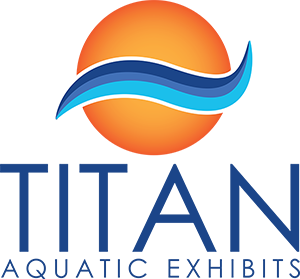 Titan Aquatic Exhibits is the leading installer of acrylic pool panels for residential and commercial projects across the world. With over 30 years of experience, our team has designed, built and installed panels for homes, hotels, public aquariums and museums. 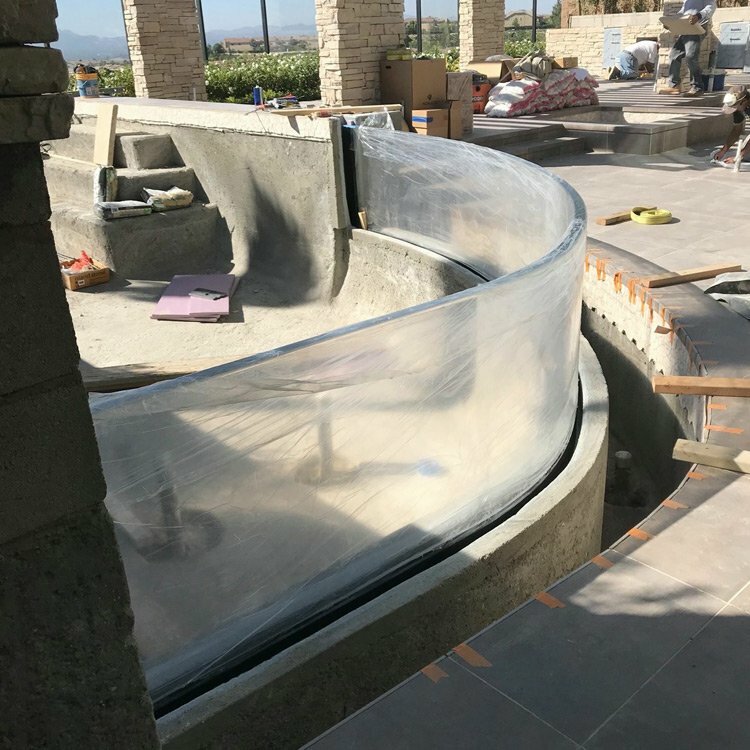 With the rise in popularity of unique pool designs we can create seamless see through windows for better viewing, clear walls on an infinity pool overlooking a spectacular view or a see through curved acrylic panel spa inside a pool. If you can imagine it, our experienced team of designers can build it. 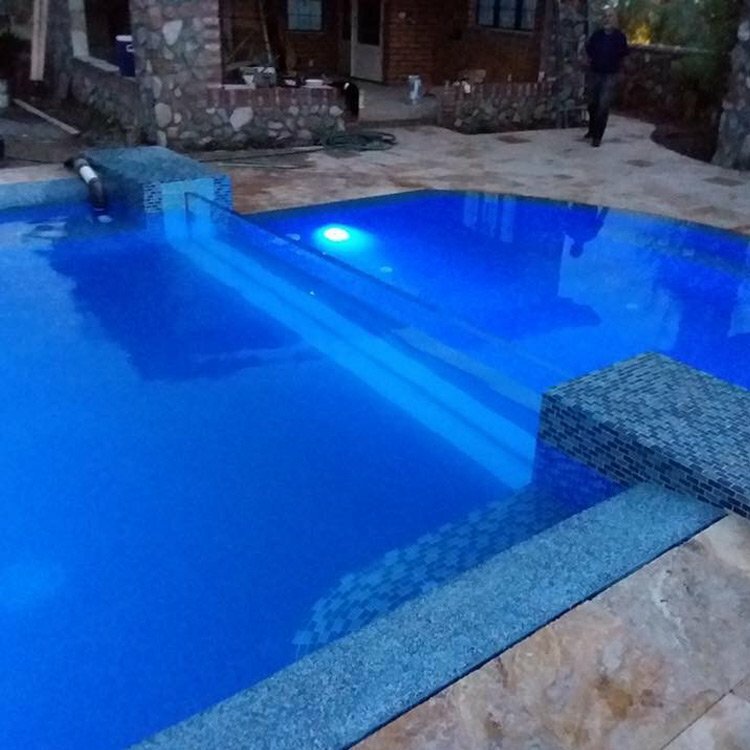 The Titan team are leading experts in waterproofing for pool panel installations. Because of the porous nature of concrete, this is one of the most important aspects of a successful installation. 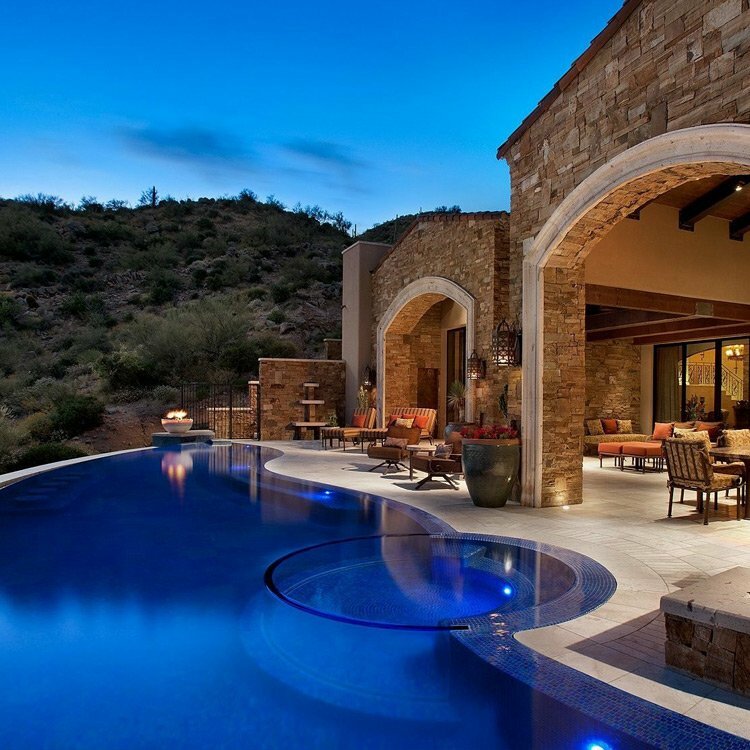 By creating a waterproof barrier between the concrete and the glazing system, water cannot pass through, limiting leak issues and additional liabilities for the life of the pool. Acrylic panels are not brittle like tempered glass and therefore will never crack or have a“spiderweb” ding. Acrylic is second to none when it comes to“repairs”.If glass is scratched it can not be repaired where acrylic can be repolished and refinished without draining water. Acrylic has the same refractive index as water so the thickness of the panel is not apparent when you are looking through it. It appears as paper thin. 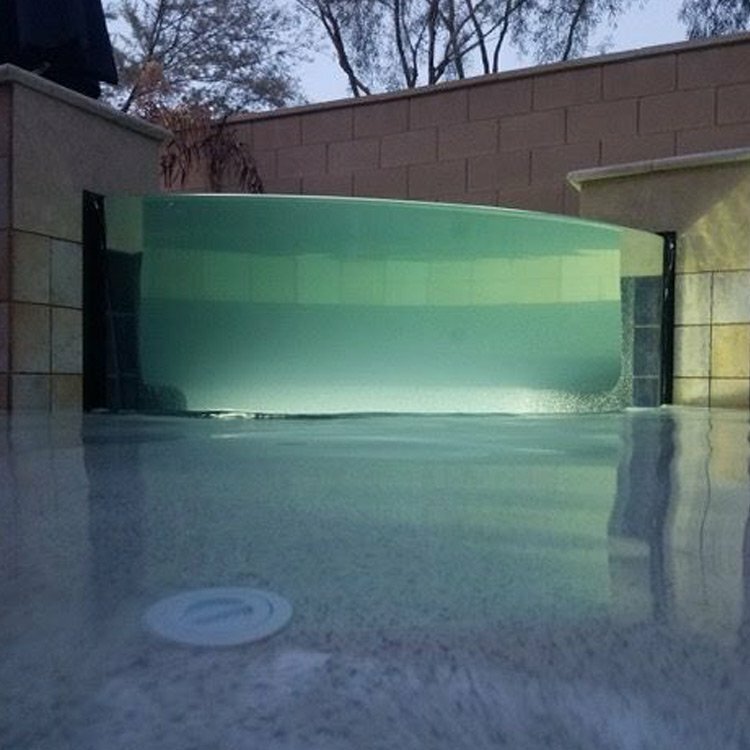 Durability of an acrylic pool panel is almost unbreakable and impact resistant. Acrylic can bring any imagination to life with the ease of formability. Visibility and clarity is unbeatable as acrylic allows 92% of lighttransmission.